Victor Frankenstein: The Modern Prometheus | Warped Factor - Words in the Key of Geek. Tony’s up for making a man. Frankenstein is a fundamental modern story. Its subtitle, ‘The Modern Prometheus’ makes clear the fact that it touches on both the ancient dream of stealing fire from the gods, stealing the secrets of life and death from their would-be supernatural keepers, and the modern, the evolution of Mankind to a stage where he has the potential to challenge those gods, to outdo them and tear them down from their palaces among the clouds. For every major new technological revolution since Shelley’s original, there has been a version of Frankenstein told, the same warning about the arrogance of Man in the development of science – and as science rolls forever forward, so the Frankenstein legend will follow, always there to give the same warning about meddling with forces we don’t understand. Over the last century of course, Frankenstein has been translated many times, directly and indirectly, into movies. 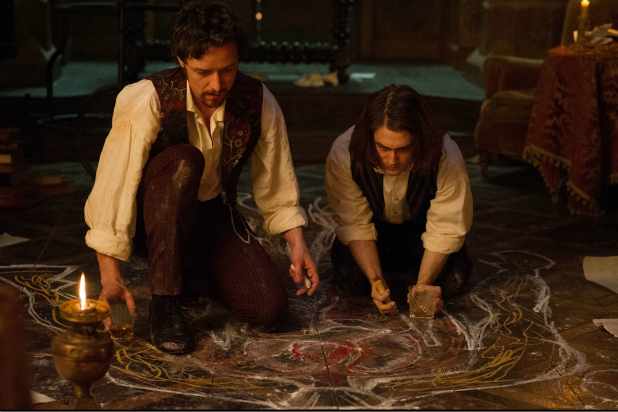 The latest version of the legend has a lot to recommend it, but one thing should be clear from the start – Victor Frankenstein is more an adaptation of previous movie Frankensteins than it is anything to do with the original novel. It pairs a very distinctly British Victor Frankenstein up with the Igor of movie legend, and then, in a blistering first ten minutes, explains why almost everything you think you know about Igor is wrong. 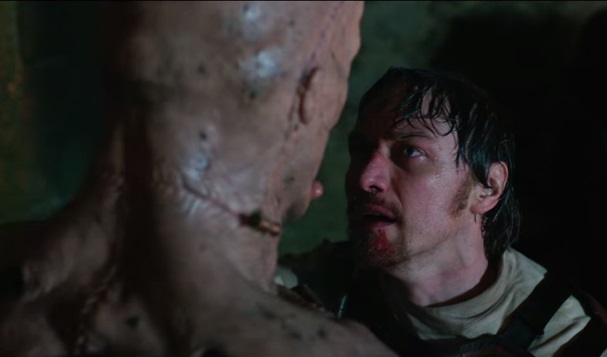 In fact, the first ten minutes of this tale, which is told from Igor’s point of view, is a cross between James McAvoy as Frankenstein ‘giving us his Doctor Who audition’ and Daniel Radcliffe as ‘circus freak who will be Igor.’ It’s an explosive new take on the legend, and gives us an Igor origin story, as well as a Frankenstein who seems and sounds either entirely post-regenerative or possibly, just possibly, high as a kite on recreational cocaine. 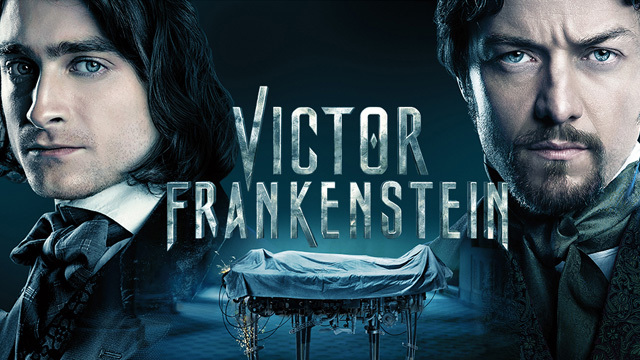 If Frankenstein is the rocket scientist then, it’s Igor who’s the engineer in their enterprises together, and the movie can do nothing but move ahead of McAvoy’s commanding performance as the wonderful, deranged, brilliant-but-probably-sociopathic Victor. It spins quickly, giving us an insight into a kind of folie a deux, a shared madness born of energy, brilliance, an almost unique way of seeing the world, and the ties of being the only two in all of Christendom to understand the ways in which they need each other. Igor needs Victor because he freed him from the circus, straightened his hunchback, gave him clothes, food, books and a laboratory, and essentially made him a respectable man in society. Victor needs Igor precisely for his unique way of seeing things and his technical, bio-engineering form of genius. Pairing powerhouses like McAvoy and Scott against each other on the question of who has the ultimate authority, Man or God, allows this version of the Frankenstein story to speak, perhaps more freely than any other incarnation, to the great philosophical questions of our very particular age, and allows it to touch on an entirely different strain of movie – there are touches of Inherit The Wind here (the movie of the Scopes Monkey Trial over whether evolution should be permitted to be taught in American schools). Elements of The Life of Brian and The Last Temptation of Christ – movies more famous for the uproar they caused than perhaps for their actual content, being decried as ‘blasphemous’ by some of the vocally faithful believers in the Christian Church. Victor Frankenstein never really goes that far, and indeed, with the best will in the world, it’s not really as good a movie as any of the three, but it does have something distinctly in common with them, tapping into that blasphemous idea – if we can prove a god is not necessary, do they cease to be relevant? Do they cease to be meaningful? Do they cease to be there? Frankenstein in this movie is the Dawkins of his day, the drunk and foul-mouthed Hitchens at parties, the man strong enough and self-revolving enough to tell a man of faith he lives a lie, and brilliant enough to be able to prove it, not by theorems or clever arguments, but by practical experiment in the sciences. With Turpin in opposition, and possibly the only man clever enough to bring Frankenstein to justice for the accidental or incidental deaths that litter his path, and to which he’s blinkered by the tunnel vision of his own greatness and the importance of his scientific quest, Frankenstein and Igor make enormous progress, re-animating a combination-creature which is mostly chimpanzee, and which they call Gordon. Sadly – and in something of an artificial foreshadow – the creature is wild, savage and confused, and when exposed to pain runs amok as they show off their work. Gordon is enough though to convince wealthy, unscrupulous aristocrat Finnegan Weyland (played by Freddie Fox) to invest in their research, and it’s on that basis that the two begin planning their greatest adventure – the making of a man. But where Frankenstein is a man driven by the demons of his youth to create new life, Igor keeps a foot in the world of light, helped by what Frankenstein sees as a ‘distraction.’ What brings the two men together in the first place is a concern for a trapeze artist named Lorelei who falls from her swing, and would have died but for their combined intervention. Lorelei is Igor’s angel, and, turned into a society sweetheart after her wounds have healed, the two of them reconnect. Lorelei (played by Downton Abbey’s Lady Sybil, Jessica Brown Findlay) helps find Igor an alternative to either of the film’s two ethical extremes – Turpin’s jealous godliness and Frankenstein’s wild endeavour of intelligence – wrapping him instead in the middle ground available to every ordinary civilian in the war between gods and men: human love. There’s an interesting cop-out at the end of the movie that does a disservice to the original, if being rather truer to many of the movie versions of Frankenstein over the years. For the monster, like Gordon before him, is all primitiveness, all emotion, always a wrong look or pain-sensation away from lashing out in fury. He’s all monster, no potential to become a man, meaning he serves as a rather convenient, lumpen way to tie up loose ends, explain motivations, and cement Frankenstein and Igor in their friendship one more time by combining to kill what they’ve been instrumental in creating. The cop-out is deeper than the reduction of the creature to mere mindless rage though – it’s a cop-out in terms of all the complex arguments about Man and God and the power to create life too, Victor deciding that the monster doesn’t represent ‘life’ at all, merely ‘animation’ – the spark of movement has been granted to his creature, but not (in his eyes), the spark of intelligence, of rationality, of personality, all the things he deems essential to qualify as being alive. 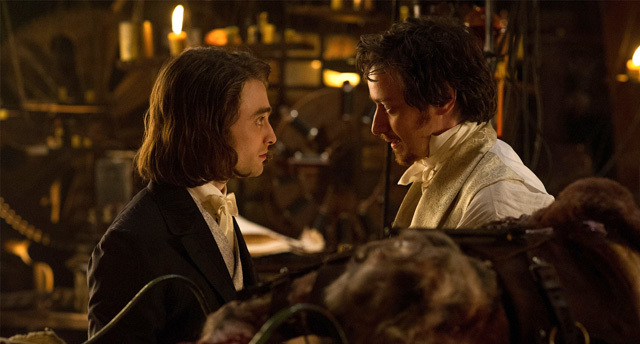 Victor Frankenstein is a movie that is powered by performances – McAvoy, Radcliffe, Scott, Findlay, Fox, and Charles Dance as Victor’s uncompromising, bitter father (so much of the novel’s original lesson about fathers and sons could have been delivered through his character, but ultimately isn’t) being chief among them. It’s a film that frames the Frankenstein legend in the context of the world’s ongoing battle between scientific rationalism and religious faith, but in the end cops out and declines to answer the questions it poses, except in Frankenstein’s admission that the task he sets himself is harder than he imagines (that science has further to go than it believes), and in who is left alive at the end, and why. It’s a flawed ending that lets down what is otherwise an exhilarating, if uncanonical, interpretation of the Frankenstein story, and one that would sit proudly along many of cinema’s finest versions.